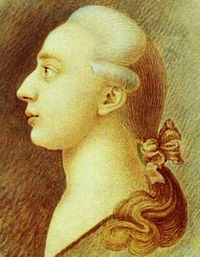 Giacomo Girolamo had the most liked content! In a FF camera, a 50mm is a... 50mm, you don't have crop factor with FF. Get a 50mm and start shooting. The camera is static? Because if it is, just find some fx guy who do the work in aftereffect or another program. You need the shot with the word, the shot without the word, and a shot with the beans falling, and then mix all the shot together. Not saying that are the same (on color or quality) but the difference is so much that I seen everything (even white tape painting with sharpies) because nobody is going to expend on that if you have another choice. Gaffers of 1st CA in my country always have the gaffers tape with himself because are worth they weight in gold. In my country gaffer tape is just ridiculous expensive. If the production doesn't pay for it, we use any other tape. If you are in an environment with good light, we use painter tape, which have different colors, and is muuuuuch cheaper. Gaffer tape is like $10 dolars and painter tape is 0,2 dolars. A world of different in low budget productions. The same situation happen in your countries? Not they don't. Disney artist and cartoonist weren't actors. I thought the same thing, remember Georges Melies for example, but Cuarón is not talking about films in general, he's talking about Masterpieces (I believe the limit of characters in twitter don't let him repeat himself). Thanks for sharing Tiago, you have a great eye. Love the art and production work too! You could analyze your favourite scenes on movies. For example, I don't know, the baptism on the godfather. What I do is check what type of shot is, for example, Medium Shot, next analyze if the shot has some camera movement (the camera is on a tripod, dolly, making a tilt or a pan), and for last, I analyze the type of light (hard, soft) and the angle (edge light). Is a good exercise that make you think how and why they shot some scene in that way. Who watch the oscars anyways? After Marlon Brandom spitting in they faces, I don't have any respect for that award. Completely ridiculous choice anyways, I agree with the tweet of Cuarón. Hi, nice work! This short has some of the best handheld shots I've never seen, really an amazing work! The lighting was good, love the locations. I have some problems following the story, maybe because the english translation wasn't accurate enough? I don't know. The short has some minors issues with pace and the editing, sometimes between scenes was kinda distracting. But love the bold shots, like when he drinks and you make a kinda barrel whip pan (don't know how call it haha) and in a second we are at the bathroom. I remember some issues with foley and sound effect, probably the most common is that you use foley on what we can see on the screen, but you have to think what you could hear, no matter if the camera is looking at that or not. For example, the first shot when you only hear the footsteps when the guy appear on the screen. Again, an amazing short, really enjoy watch it. Hope you share more of your work, bye! Liked, specially because was kinda spooky but not too serious. Nice pace too. Some camera choices I don't like. What I really don't like is how the shadow of the clock dances around when the time pass. I understand that the sunset generate a different shadow but in my opinion, you should fake it and only change the tone and not the shadow so much, because looks messy. Probably nobody think it until the edit room, but still... But great cinematography an idea, good short! Keep the good work! I own and tried several programs, but really, at the end, is so much flexible, fast, and clear, use pencil and paper to share your ideas.